Assisting Jerry Hickey on this journey is a team of nutritional professionals - a group of hand chosen, dedicated experts, available at each and every InVite® Health retail location. Their purpose is to provide you with a FREE personalized and professional nutritional consultation. Visit an InVite® Health retail location near you for assistance in selecting the correct nutrients to address your health concerns. "Back in the 1970s when I attended Saint John's University School of Pharmacy, I was learning all about chemotherapy. I was also learning how damaging the drugs used to treat these diseases could be and how devastating cancers and other diseases were. It began to occur to me that perhaps there was a way of avoiding the disease process or at least stacking the odds against developing many of today's more common diseases. One sure fire way of helping was good nutrition and the emerging studies on gene vs. environment support the career path I have chosen. The reason so many different plant ingredients are so healthy is because they contain phytochemicals that positively impact good health by managing the activity of your genes. Broccoli and other cabbage vegetables, green tea and the ingredients in red grapes are just some examples of foods that protect you by properly conducting the orchestra which is your genes. I have dedicated my entire life to collating and disseminating this information and to designing products to support the effort." Email Jerry Hickey, Ph. directly at JHickey@invitehealth.com for answers to your health-based questions. Amanda Williams, MPH, MD., holds a Doctorate in Medicine from Xavier University in Aruba, a Master's degree in Public Health from Nova Southeastern University and a Bachelor's degree in biology from St. Mary's College Orchard Lake. Amanda loves working in a field where she has the opportunity to change lives by showing understanding and compassion while educating, encouraging and inspiring others to take ownership of their health and their lives. Listen to Amanda on InVite® Health Radio every Monday and Thursday on WWNN 1470AM from 9AM-10AM. Email Amanda directly at AWilliams@invitehealth.com for answers to your health-based questions. 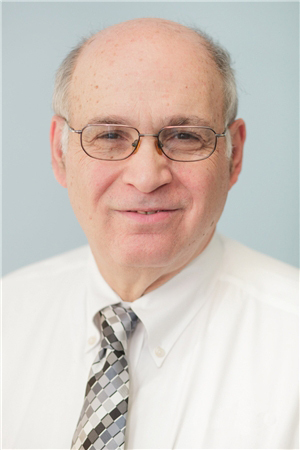 Howard Benedikt, DC, CCSP, DCBCN has treated thousands of patients in his 40 years as a chiropractor. He attended Queens College, Flushing, where he received a BS degree. He then went on to study at the National University of Health Sciences in Lombard, Illinois, receiving his Doctor of Chiropractic. After several years of practice he obtained an MS in Human Biology/Anatomy from CW Post Center of Long Island University. He also holds certifications from New York Chiropractic College as a CCSP and is a diplomate of the Chiropractic Board of Clinical Nutrition. He has lectured around the country on nutrition and holds teaching positions with New York Chiropractic College as well as Berkeley College in New York City. He maintains a private practice in New York, focusing on wellness and functional medicine. His passion lies in his vision to help each and every patient achieve their optimal health and wellness. He combines traditional chiropractic care along with deep tissue and trigger point therapies and uses the latest adjunctive modalities such as ultrasound, muscle stimulation, cold light laser therapy and soft tissue mobilization. Email Howard directly at HBenedikt@invitehealth.com for answers to your health-based questions.